Drone maker Titan Aerospace was under Facebook’s crossair for a long time until they bought Titan’s competitor in U.K Ascenta for its global internet plans for $20 million. 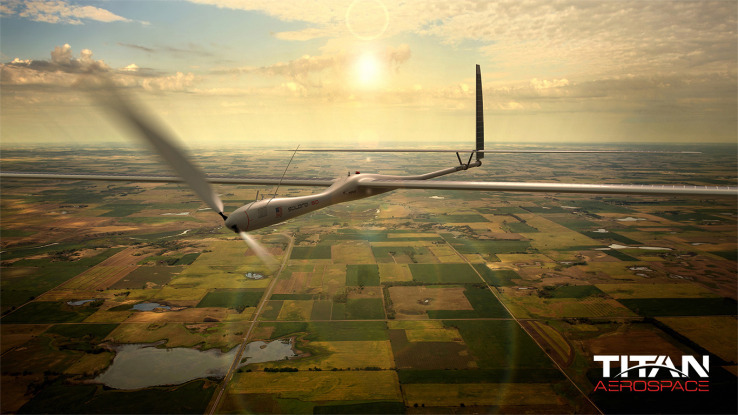 Now, Google has agreed to buy Titan Aerospace, a startup making high altitude drones, for a price still unknown yet. The company will stay as it is and be based in New Mexico with Vern Raburn, the Chief Executive running it as usual. Google has informed in a statement that the Titan team will mainly work with Google’s Project Loon. Those who still don’t know what project Loon is, here’s a recap. Google is planning to build large balloons which would fly in high-altitude that would send internet signal to the areas where there’s still no internet. According to the Wall Street Journal, the main area of focus for these teams will include advanced design for materials for very lightweight flying vehicles, flight planning and algo’s for wind prediction. Titan startled the world by unveiling their Solara 50 and 60 unmanned air vehicles which had a mission range of 4 million kms. How would they be powered? Sun. The solar powered UAVs are capable for flying over 3 years with just the mighty power of the sun. According to Titan, they claimed that their drones are capable of delivering internet speeds up to 1 gigabit per second using special comm equipment which is way faster than that we receive in developing countries. Apart from Project Loon, Google might also use the drone company to collect high-resolution, real-time images of our planet for Google Earth and also help the Google Map app. Seems like a new battle is coming ahead. One who can set up the world’s first balloon Wifi. Let the battle begin between Google and Facebook! Who do you think will succeed?